Courtesy of Sally Minty-Gravett, Manhattan Island, New York. 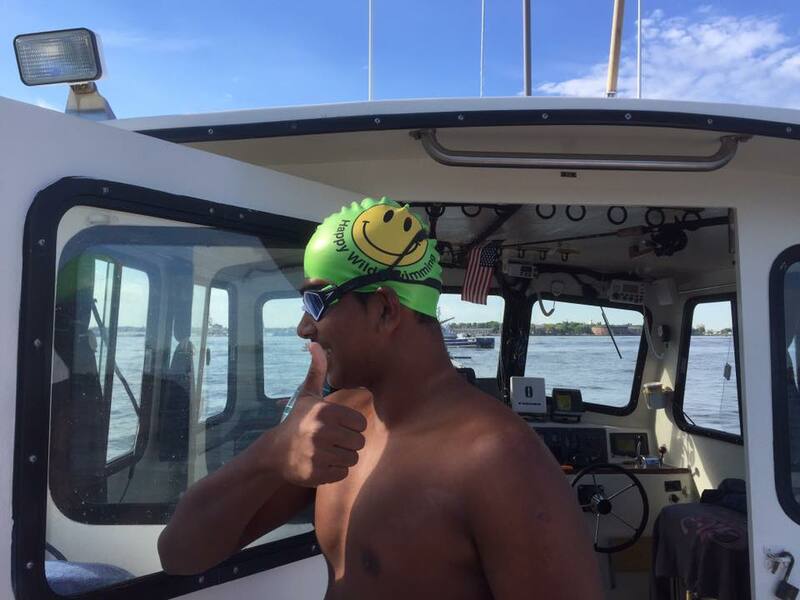 In the first of four swims of the 2017 20 Bridges Manhattan Island Swim series, 18-year-old Prabhat Raju Koli of India became the youngest male swimmer to complete the Triple Crown of Open Water Swimming. Coached by Sally Minty-Gravett M.B.E. 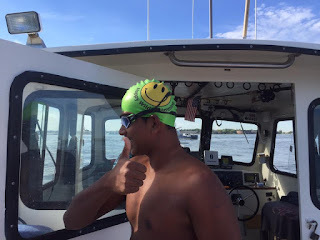 of Jersey, he completed the Triple Crown with a 8 hour 5 minute circumnavigation of Manhattan Island to complements his 13 hour 14 minute English Channel crossing at the age of 16 and his 10 hour 30 minute Catalina Channel crossing at the age of 17. For more information on the Triple Crown of Open Water Swimming, visit here or here.